Nevertales: The Abomination is rated 4.0 out of 5 by 4. Rated 5 out of 5 by biscuitsmama from A BEAUTIFUL GAME AND ONE OF THE BEST IN THE NEVERTALES SERIES – WELL WORTH THE WAIT! It has been three years since the release of the last game in the Nevertales series and I think this one was worth waiting for. 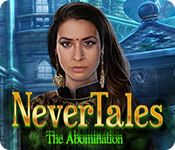 Nevertales The Abomination is a creative game and, at least for me, this one is far better than the last several in a series that had lost its direction and flair. The Abomination is the tale of a creator who has basically lost his muse and his direction. Will the creator be able to rise and save the world of Ballard and its four realms or will he eventually destroy all that he had created? The graphics and sound package for The Abomination are terrific. As we travel to the four realms we are treated to the beauty that was created by the Author and wonder how he would think of destroying it all. As usual we find all of the bells and whistles that come with a CE game and particularly the in-game Strategy Guide that did provide some helpful information when I was stuck. The Abomination is a great game with some beautiful and varied HOPS. My biggest issue with the HOPS is that again a developer is making the items we need to find almost invisible. This was very apparent with the first HOP when not only were the items almost transparent they were often very small. It is only my opinion because others might like the challenge of finding transparent items in a scene, but I believe there is a far better way to increase the difficulty factor than by resorting to a tactic that is sure to strain the eyes of many older gamers. The Abomination is yet another game that has far more puzzles than HOPS but since I did enjoy the puzzles in the game I’m not complaining. I found the puzzles to be mostly a bit easy but some were tricky to figure out. 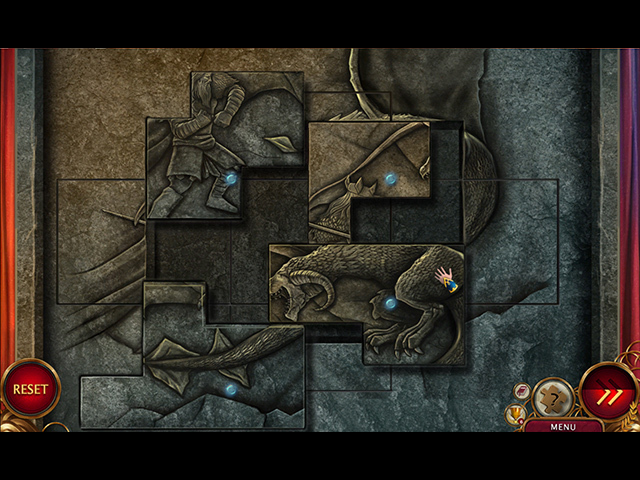 The game included some favorite puzzles such as the one where I needed to switch and rotate parts of a picture in order to see the correct image. Although creating potions and casting spells are not my favorite things to do in a game, I still enjoyed Nevertales The Abomination because of its beautiful graphics as well as the creative storyline. This is a game that is has a lot of tasks to complete and actions that kept me engaged as I moved through the story. I felt the pace of the game was right for me and that the mix of puzzles, HOPS and adventure kept me entertained and involved right from the beginning of the game. Although I feel that Nevertales The Abomination is an excellent game, please try the demo to see if it is one you will enjoy. Happy gaming! Rated 4 out of 5 by Italia47 from Nothing "abominable" about this game! Mad Head Games Developers are one of the most clever developers out there. I'm rating this game based on a finished SE version, and am giving it a 4-1/2 stars, even if some of the hidden objects were hard to decipher at times or when clicking on an object with the item needed to complete it would not succeed unless you clicked on the right spot. One of the spells was shape-shifting into a mermaid. My only suggestion is, and not just with this developer but with others as well, when there are underwater scenes, I prefer completing all the tasks required without getting in and out of the water a dozen times. I don't see the logic in it. However, I enjoyed this game immensely and commend these developers for a job well-done. 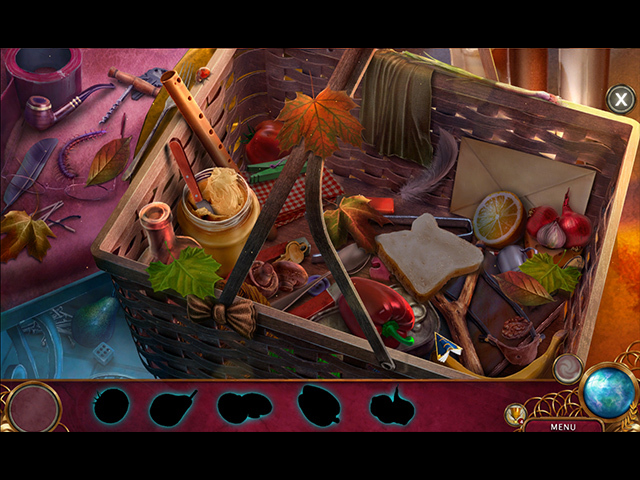 The puzzles/mini-games were great and so were the hidden object scenes, except for some items that were too light to detect, but I stuck it out and didn't need to use the hint button, which by the way, was very good for transporting. The storyline was very intriguing. Completing all the tasks to make up all the spells was ingenious. Creating the potions were great. The tasks were not silly but quite intelligently thought-out. The graphics were wonderful, the music was great, the voiceovers were good. I liked the fact that most of the time I was able to use the items in the inventory fairly quickly. There were a couple of items that lingered now and then but all for a good reason. There was so much to do and the game was quite long for an SE version. I highly recommend it. Rated 4 out of 5 by deddu from SAVE THE WORLDS There is a lot to do in this game. As the mage you gather different elements and make spells that you can use against the Abomination. 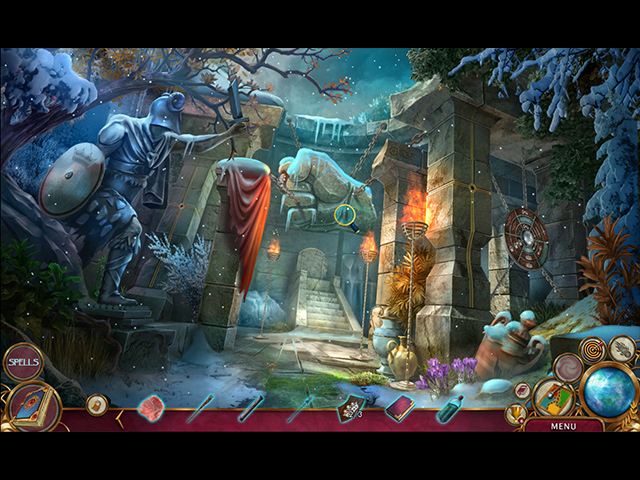 The hidden objects are lists and interactive.